The operational partners of the GAAN have long experience organ transportation. Experience was gained on hundreds of medical flights and since we know that every second counts when an organ required for a transplant has to reach the operating room we take care of any single detail that will allow us to accomplish the mission. 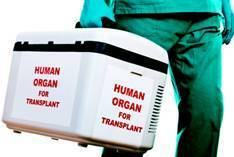 We will transport the medical involved for the transplant and the organ with speed, efficiency and safety in mind.